oh my goodness. i have been too busy for words. the third and final year is already taking a toll on my blog adventures. only been back for a week and a half and already i've had my first deadline. so finally i am back and feel refreshed and ready. and i promise only sweet things for you all. i have been watching miss potter only. over and over again. it is now truly my favourite film in the whole world. i love the story. i love beatrix. and i love tom thumb and hunca munca. mrs tiggy winkle. and i can't wait to write halloween stories even more now. i have again found a love for kirsten dunst. she is a beauty. a pale faced wonder. i have been tagged by that beauty we call capture the castle. it's called the happy tag. the rules are; mention the person who nominated you. list 6 unimportant things that make you happy. tag 5 blogs. state the rules. 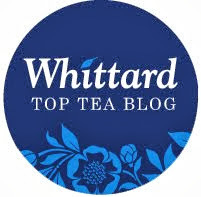 notify them with a teeny comment on their blog that they have been nominated. 1. my beautiful cottage home back in the countryside when i can see the sun and the moon. the stars and the clouds. with my family. 2. my mother's delightful homemade treats. 3. true love and snuggled up with that someone who cares about me. 4. writing stories about wonderful adventures. and secret notes in pockets. 5. talking to my auntie about winter carnivals in her back garden. snow spells. and our shop boutique that we will fill with stories..homemade gifts..tea..and cakes. *sweet dreams* and i promise to comment back to you all tomorrow. it's 00'45am. when i logged on and saw that you had updated i was squealing, i couldn't wait to see what lovely thing you were to write about today! oh deadlines... i have three exams in two days next week! and three of the hardest ones too (extension english, ancient history, studies of religion...) i'm trying to cram and study but i'm getting distracted by good movies and better food and the rain.. it's beating onto my window as i type this and i just love the sound that rain makes. it's very soothing. hope you had a good sleep! Oh wait until you see the post I'm about to write! I have a box full of things that sparkle and shine, and this reminds me of it. i must agree about kristen dunst. there's just something about her. can't wait for more posts! Oh wow deadlines already! What university are you at? Have fun! Kirsten Dunst is wonderfully lovely. As is this post, and your blog- it makes me want to dress up in pretty things always. I hope you are doing wonderfully even though you are so busy! my account got hacked a few days ago! so much drama...blogger managed to save my profile and things but not my blog :( i'm starting a new one in about a month though...i have my mock gcses and work experience soon so things are a little hectic. I hope you'll look out for it! miss potter is such a wonderful film! and yes, kirsten is amazing! and so beautiful! :) I love reading your blog. I've been subscribed for a while. It's so cute! aww thank you so much for the tag. i can't wait to do it! Miss Potter has to be one of my faveourite films too, its amazing, as is she!! LOVE Diana Vickers, she is my absolute favourit and I too got goosepimples listening to her!! Also, love your sparkle picture!! So simple yet so cute!!! I love Beatrix Potters stories and how they made them into cartoons and used to show them on tv here. They are so charming and just very very good. ooh, i love beatrix potter too. i never saw the movie ms. potter though i should. my favorite stories are "the tale of 2 bad mice" and of course "ms. tiggywinkle".......i used to have a huge book of all of them and a vhs tape of ballet versions of the beatrix potter tales! i wish i still did! I've never seen Miss Potter, even though I really really REALLY want to. One day I must. Beatrix Potter's books are such a delight! So glad I have found a other xfactor fan on blogs! I love it this year, my favourite are Diana and Laura, they are amazing. I have a feeling Cheryl will have the winning category this year! Oh I love Beatrix Potter, I still have all of the books from when I was younger and my favourite is Jemima Puddleduck :) The film is amazing, too. sparkly tea. i just drank hot chocolate. outside the red leaves are sparkling with dew. it is so delightful! your posts always make me smile inside! I remember that third year feeling from last year. You will get through it. 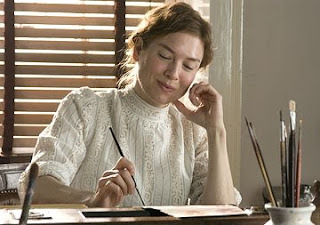 Miss Potter is such a lovely film, doesn't your heart just leap when she gets that letter about her fiance being ill? That was the saddest moment. I am also loving Diana's voice. She is the best by far and I really hope she wins. I need to see Miss Potter again. It's so nice to just snuggle up in bed and watch a nice film in this freezing weather. I totally love Diana too, whenever she sings I feel like crying for some reason! Do you have your halloween outfit sorted yet? Thanks for the cardi tip, I'll have a browse there soon. We spoke last night, and he feels really bad, and knows hes been a fool, so it made me feel much better. But today the girl tagged him in a facebook picture. Not good! miss potter is such a lovely film! i love ur beautiful pictures and soothing words , youu are soo pretty and lovely! keeep up the amaaazinggg work! ahh i havent seen the film :| but I will make sure I do seeing as everyone is raving about it! i have been wanting to see miss potter for the longest time! Ah Diana was amazing on last nights xfactor! Can't believe Scott went though! I love the movie Miss Potter, and I tagged you too. Your the tagging sensation of the week! i just stumbled onto your blog today and i spent about 40 minutes reading your old posts and looking at the pictures (instead of reading my economics homework). your posts are inspiring and the photos are amazing! i can't wait for new and exciting posts to come! Your pictures are really amazing!!! I discovered your blog today, and the whole day I'm looking at your pictures and reading the texts.